Changes and challenges are a normal part of a human life. I can actually say that the biggest changes happen in childhood, (and for that we need to 1- recognise that children go through deep changes and still keep smiling and joyful all the time, and 2- support children in their process by giving them unconditional love). I find it very useful to pause and meditate at each big change in life, what has been behind, where I am standing now, and what lies ahead. For many years, I’ve wanted to be over 30. Somehow my soul has already been “mature” enough but my body only now has catched up. Thirty is a closure for the cycle of 30s, so it is actually the beginning of the 4th decade. Finally Im leaving behind the biggest cycle under the influence of the 3/7, which is actually a part of my soul number 7. Numbers 3/7 are related with mind, illusion and fantasy (when I was growing up I wanted to become an “imagineer” a mix of engineer and fantasy creator), vision, structures and power (no wonder why I became an architect), power, ego, resentment/forgiveness (just ask my husband :). This year also another cycle has ended, to begin a new exciting journey. 7 years ago I moved from my home country Mexico to Estonia. In life, we have different cycles, the cycle of energy/lifeforce (18 years), the cycle of intelligence (11 years) and the cycle of consciousness (7 years). Every time we reach a change of cycle of consciousness, we gain a new perspective of things, we get an “upgrade” in our consciousness, which makes our spirit grow if we allow it to. My body in this time (30, 7 years) and space (this latitude and longitude) are now reaching in this lifetime a new vibration, my mind has a clear focus and projection and the attitude and altitude to match my sensitive, subtle inner self. I look back at my consciousness 7 years ago, and although I knew my destiny, caliber and capacity, I was not ready for the challenge. Now, as my body also sets into the divine realms of maturity and motherhood, I feel the time is here for living in full dimension my souls wishes. In the last few months, with Theo and not only because of that, I have been going through a big transformation in many realms, and since yesterday when I started writing this post it has become more clear: the struggle for power has given in to a more subtle existence. My everyday mantra and food is now a constant attitude of gratitude, which brings all unimaginable gifts and prosperity, which relaxes me deeply into my own being. So today I welcome the new age with an open heart and am thankful for these 30 wonderful years on this path! Previous PostTransformation at 02:54 hrsNext Post31. 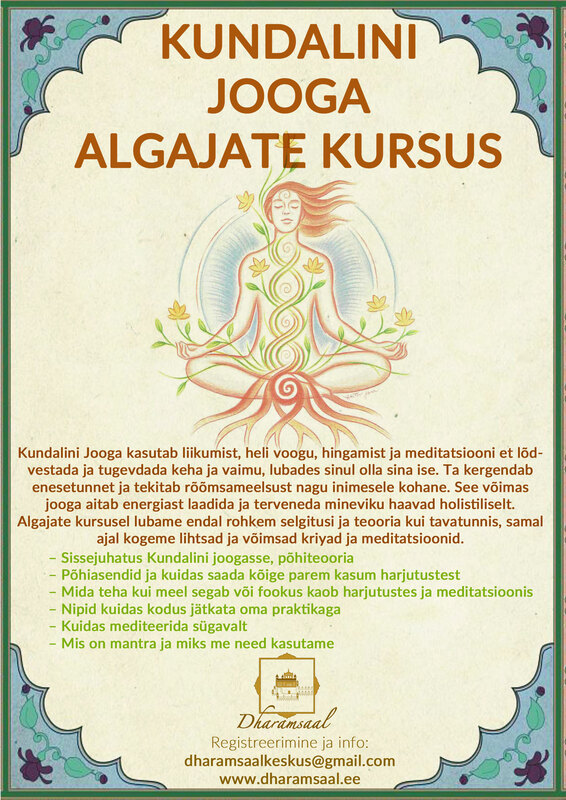 märts 2012 algab kundalini jooga õpetajate koolitus 1. astme.